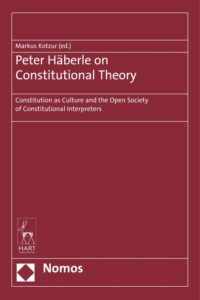 Nomos publishing house just released the title “Peter Häberle on Constitutional Theory”, edited by Professor Markus Kotzur. This release finally offers Peter Häberles most important texts in English language. 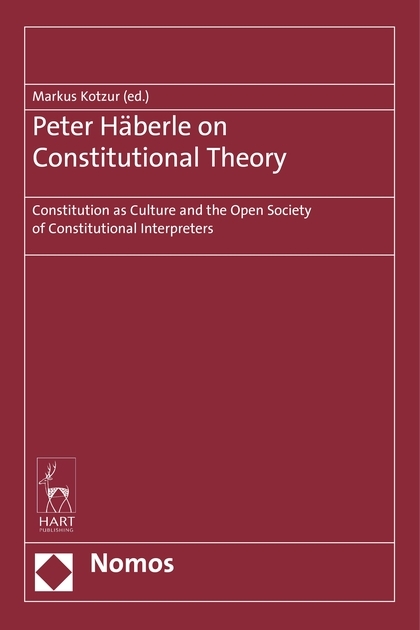 The influential German constitutionalist Peter Häberle does not think of constitutions as merely a set of rules, but as an emanation of culture itself. The volume introduces six seminal centrepieces of Häberle´s constitutional cosmos to an English-speaking audience. His reflections on “Fundamental Rights in the Welfare State” introduced a “flexible dogmatic of human rights” according to which all human rights can be conceived as social rights. “The open society of constitutional interpreters” and the classical piece on “Preambles in the text and context of constitutions” revolutionized constitutional interpretation theory. In his article on human dignity, Häberle paved the way for conceptualizing this notion as textual foundation of constitutional Democracies. The last two papers present the rationale for a cultural concept of constitutions and apply to the European plane, too.